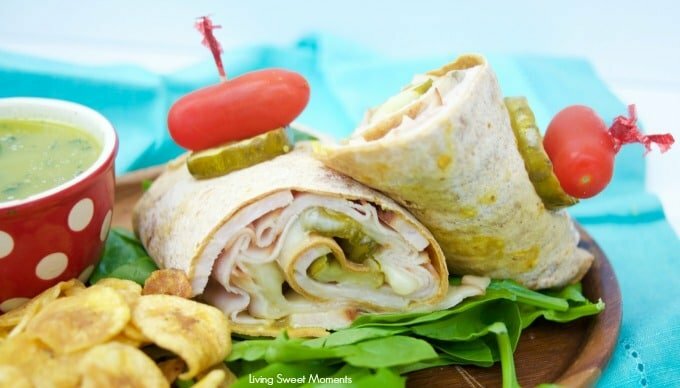 This delicious Cuban Sandwich Wrap made with turkey, is ready in 5 minutes or less and is the perfect quick weeknight dinner that is both exotic and tasty! 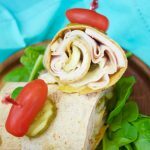 If you’re strapped for time during dinnertime, then you’re going to love my quick version of the classical Cuban Sandwich. I make it with turkey and tangy mojo dipping sauce on the side. 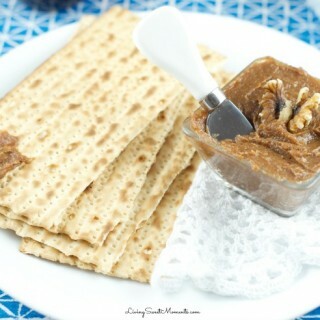 Not only can you have dinner on the table in 5 minutes or less but it will be delicious! 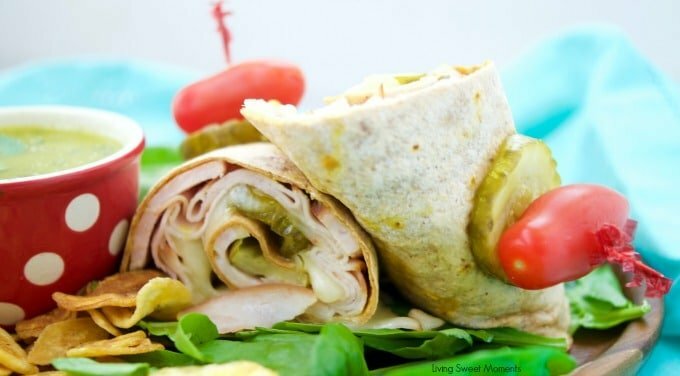 When my girls come home from their after-school activities they’re usually starving, my secret weapon is always a wrap! 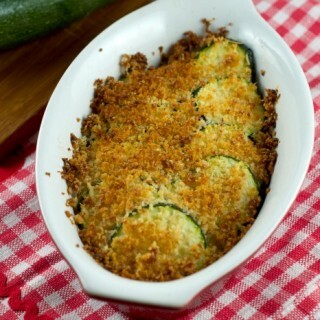 Who doesn’t love a piping hot cheesy dinner? 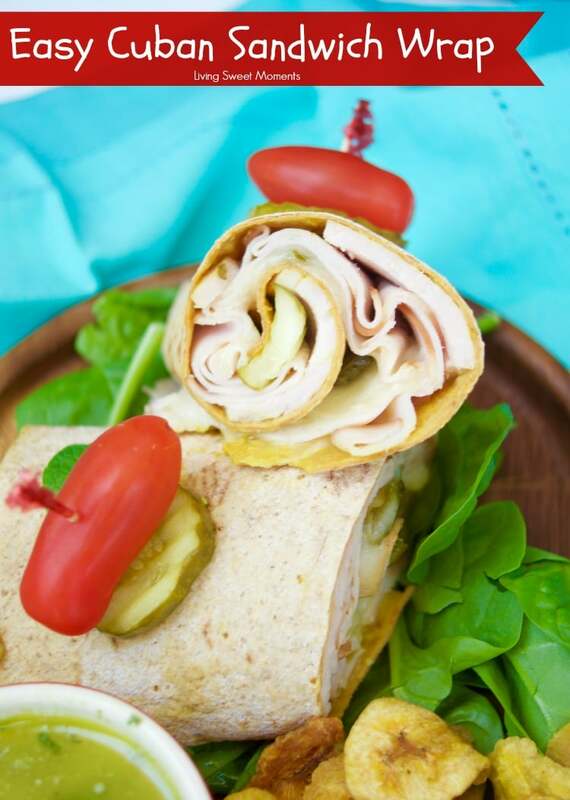 If you live or have visited Miami, then you’ve probably tried their famous Cuban Sandwiches made with mojo marinated pork, mustard, cheese and pickles. The pork is slow cooked for hours and it fork-tender. I personally am not a huge fan of pork and always swap it out for something a little less heavy. 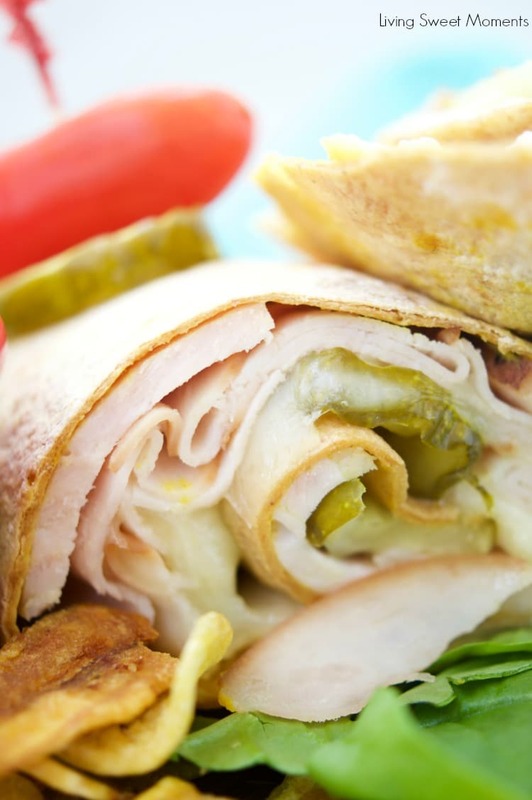 You can use leftover turkey or simply get it in the deli department at your grocery store. Don’t forget to also pick up some plantain chips. 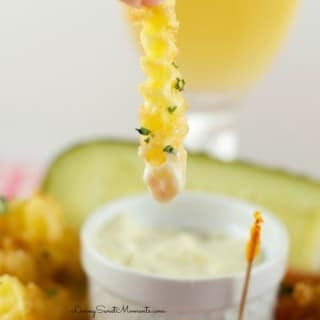 They pair well with this recipe. 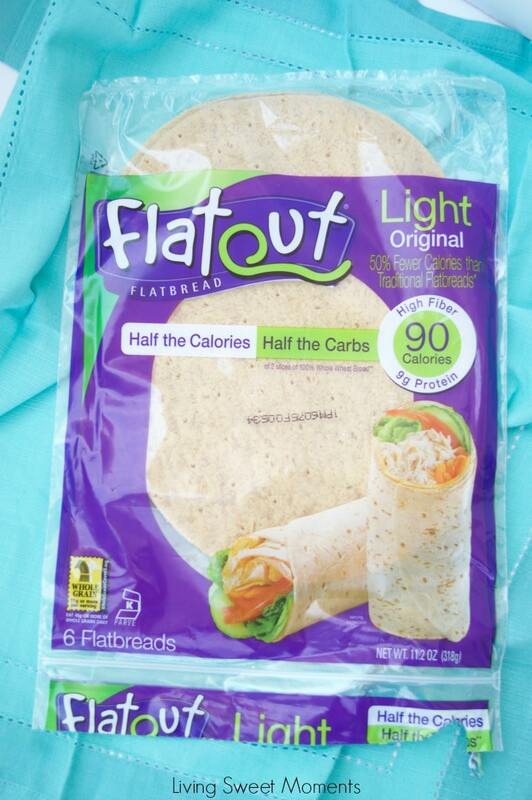 For my wrap, I used flatout flatbreads that come in the perfect shape for rolling. 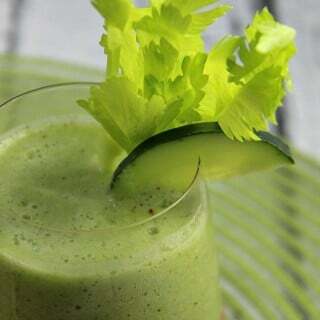 They’re low fat, high in fiber and available in grocery stores nationwide. Click here to for store availability. Whenever I am alone at home for lunch, I just open my fridge and empty the leftovers in my Flatout. I just toast everything up and Boom! Lunch is ready. Every Flatout is a blank canvas; it’s a perfect partner to help people of all ages make healthier choices. 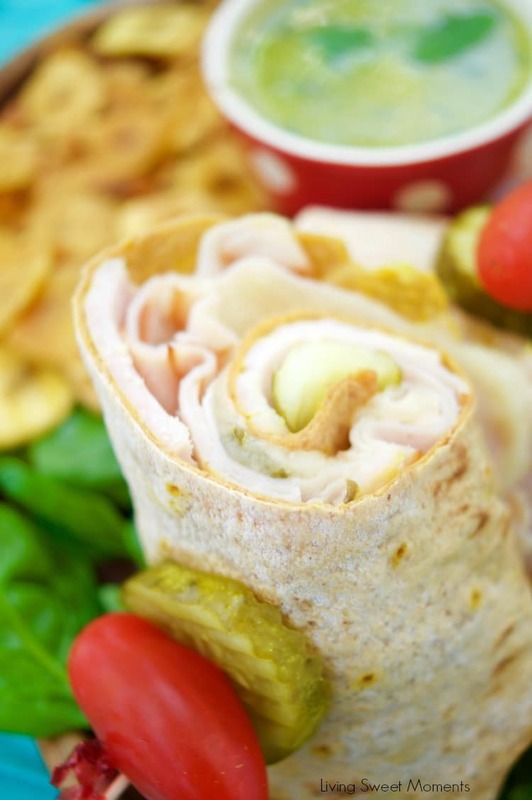 I hope you can try this delicious Easy Cuban Sandwich Wrap at home. 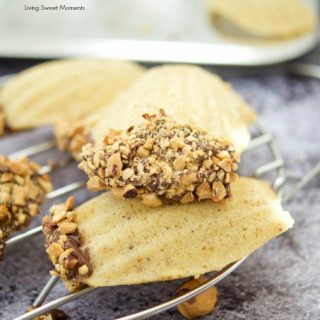 If you do, please upload a pic on Instagram and tag me @Livingsweetmoments or use the hashtag #LivingSweet. I promise to repost it.